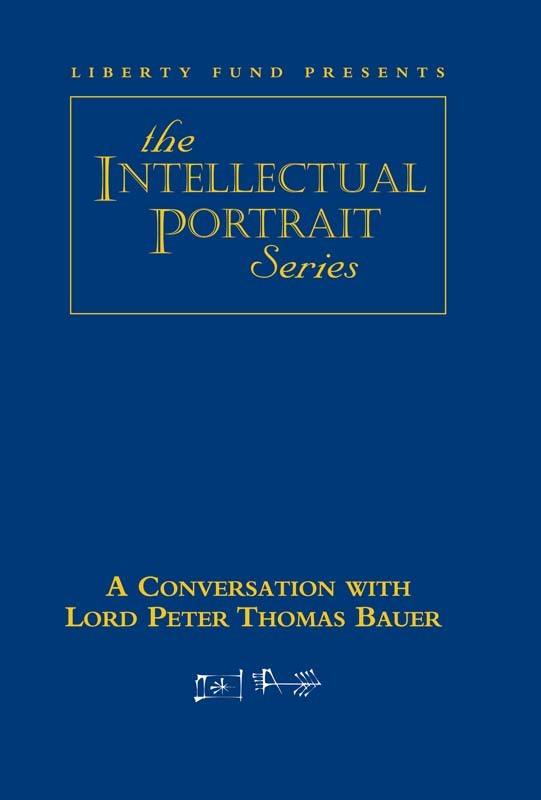 Lord Peter Thomas Bauer has been one of the twentieth century’s leading thinkers on the relationship between free trade and the economics of developing countries. Born in Budapest, Hungary, in 1915, he emigrated to the United Kingdom to study at Cambridge in the 1930s. Through more than forty years of prolific writing, he presented a new view of the role of government intervention in the development of so-called “third world” economies, demonstrating that private entrepreneurs were more likely to be engines of development and that Western aid was often more likely to perpetuate poor government policies and corruption. Lord Bauer taught at the London School of Economics from 1960 through 1983. In 1983, he became a life peer in the House of Lords in recognition of his distinguished service. DVD. © 2001. 58 minutes.